Spring is all about new beginnings — a perfect time to welcome a new baby. 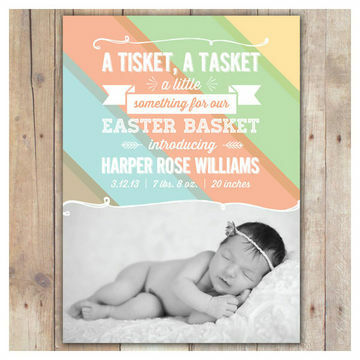 Brights, pastels and florals give these baby announcements a fresh look. Traditional pastels and a creative design offer a custom look for an affordable price. Plus, it works as a baby announcement and Easter card in one. 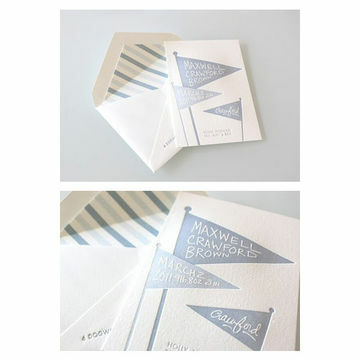 This announcement from Sideshow Press uses the understated sports theme of pennants in soft colors, handwritten type and letterpress — an elegant way to announce the arrival of your baby to family and friends with an extra sophisticated kick. As the saying goes, "April showers bring May flowers." The coral adds a pop of fresh spring color to the chic soft gray background, making this announcement from Minted simply delightful. A special card for your special delivery! The playful concept of vintage airmail labels and letters works well with the traditional spring pastel colors in this adorable announcement from Minted. 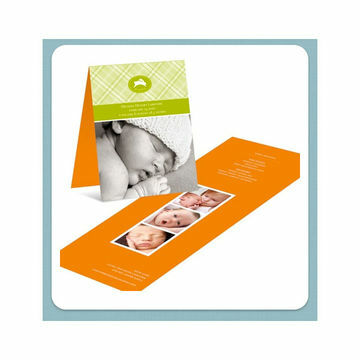 Flowers and baby chicks give this announcement from Pear Tree Greetings a burst of spring. Share the news about the latest addition to your family tree with this sweet card from Tiny Prints featuring popular symbols of spring, singing birds and blossoming trees. The classic pattern of plaid makes this announcement from Pear Tree Greetings a timeless classic. Choose from a bunny icon or six other options. This announcement from Shutterfly screams "spring!" with its bold colors. 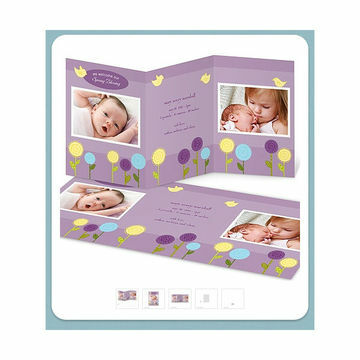 It also features five frames for photos, giving parents the flexibility of using various shots of their little one.